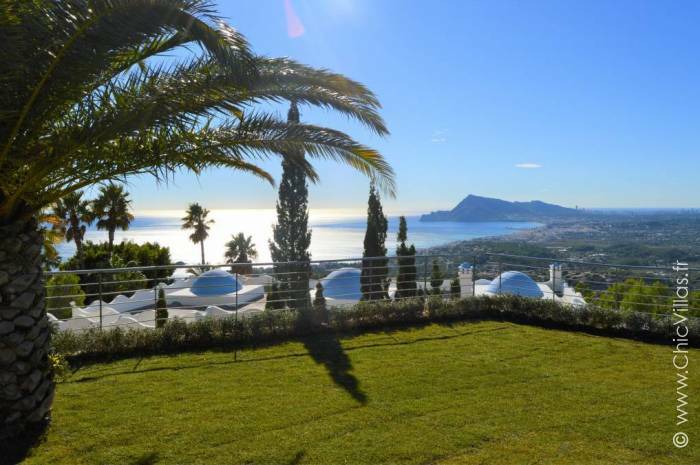 Panoramica Costa Blanca is the ultimate luxury Spanish bolthole. 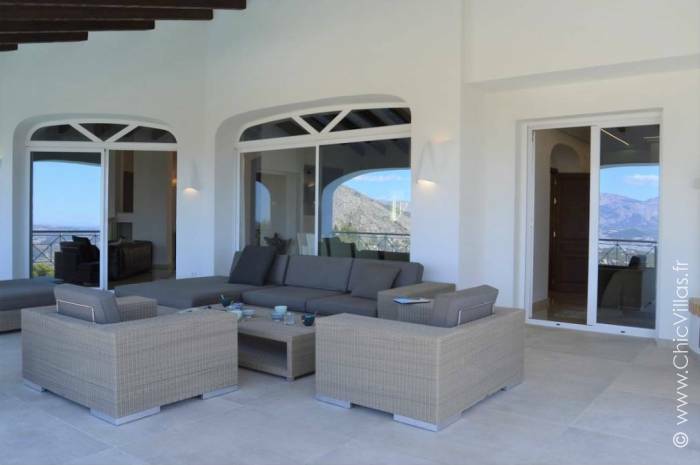 This air-conditioned villa features bright and sunny spaces designed to ensure comfort and privacy second to none. 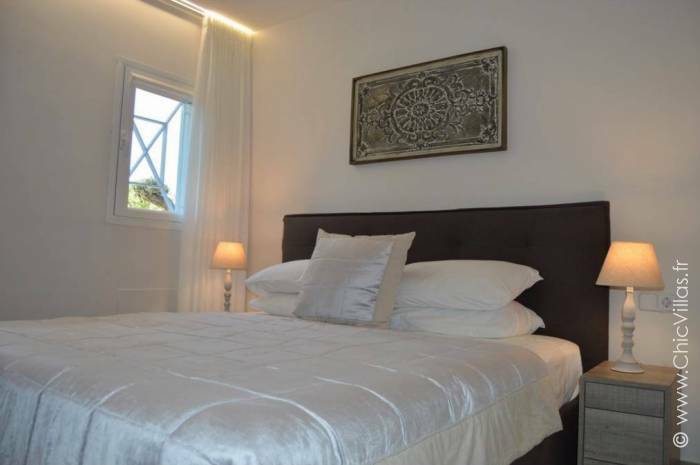 The property comprises two loft-style apartments, one upstairs and one downstairs, making it ideal for two families wishing to have their own self-contained area. 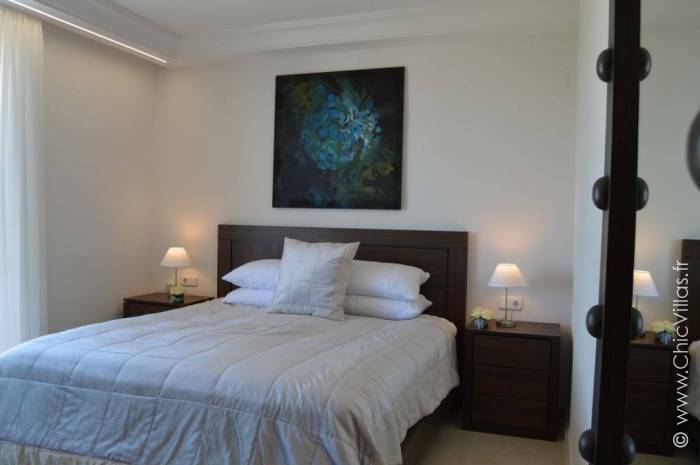 The basement level also houses a garage and a private gym. 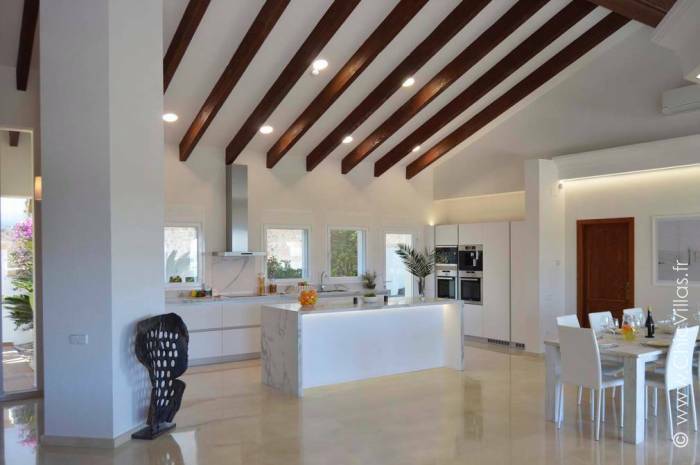 The property has been decorated with elegance and taste throughout, with timber beams bringing a hint of old charm to the decidedly contemporary architecture. 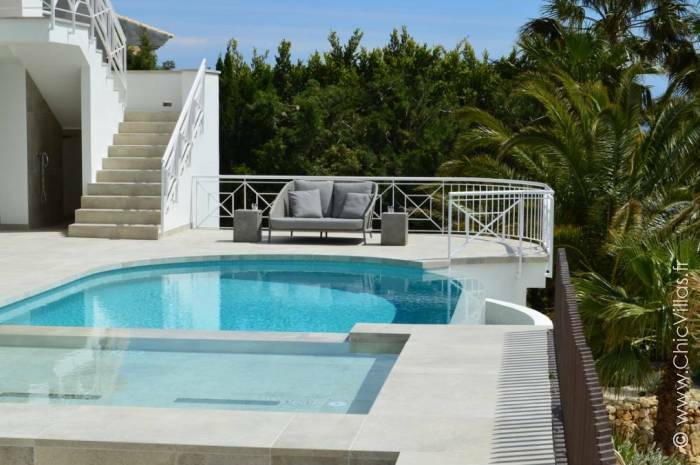 While the inside of the property is delightful, the real magic happens once you step outside. 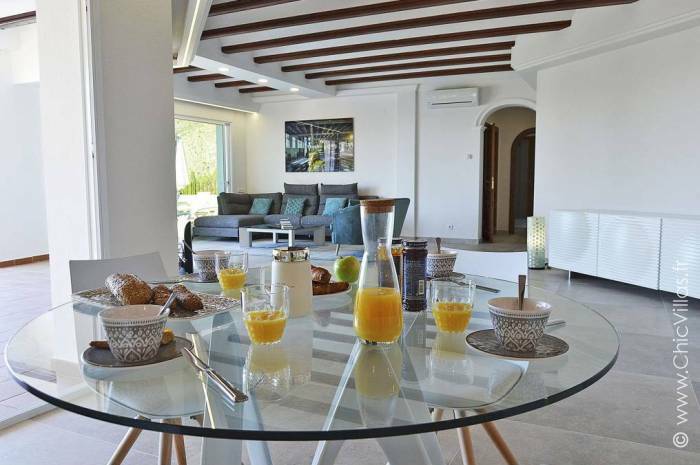 Every floor has a terrace, ideal for enjoying a lazy breakfast looking over the bay and savouring the promise of another sunny and relaxing day. 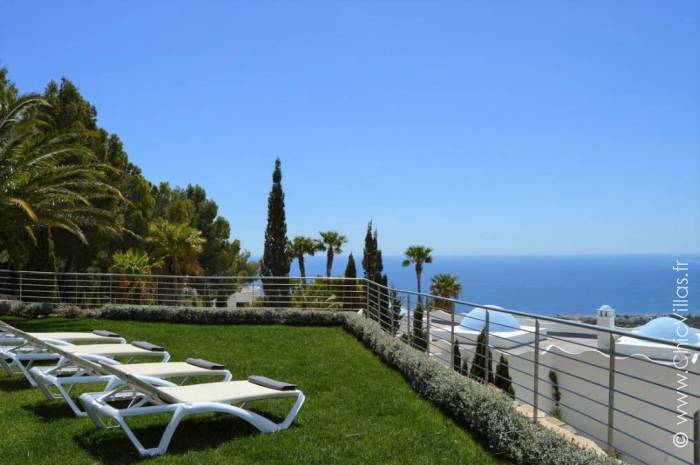 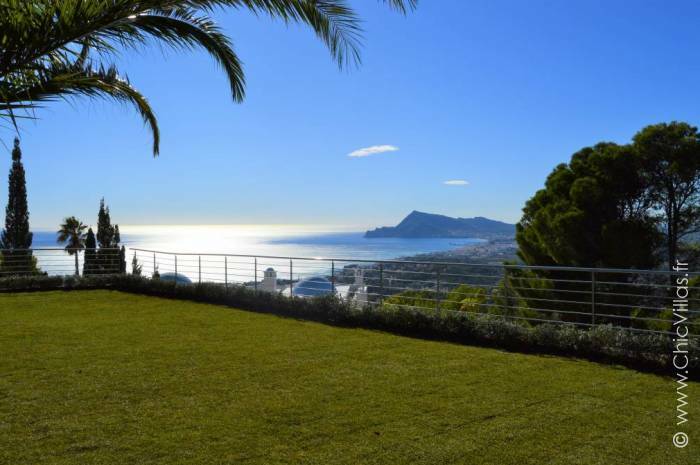 The garden also features a fabulous lawn and a swimming pool with impressive views over the Bay of Altea and the surrounding mountains. 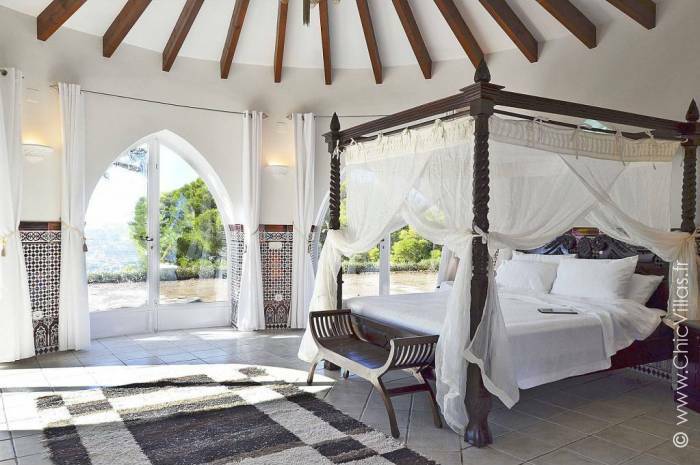 And it doesn’t stop there: set slightly apart from the main house, this luxury rental property also has a romantic hideaway guest house that is sure to win the heart of any lucky guest with its delicately sculptured archways and fairytale four-poster bed! 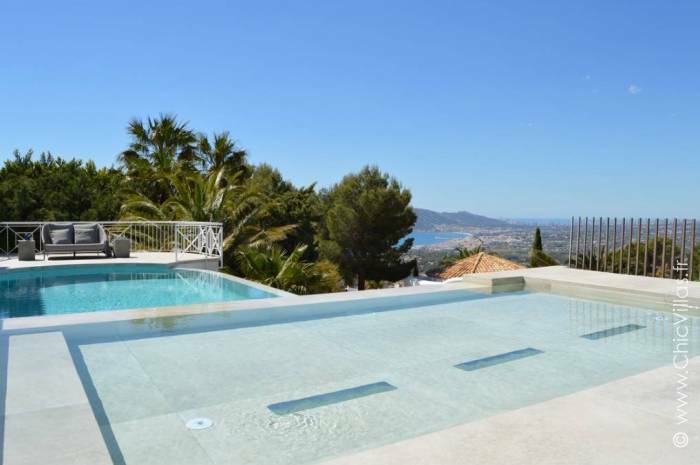 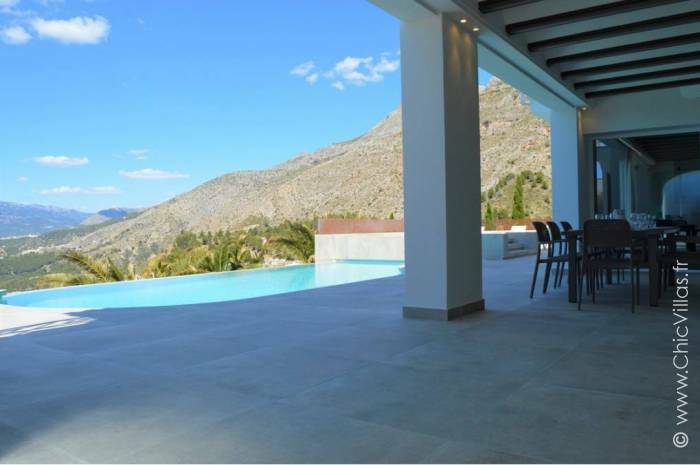 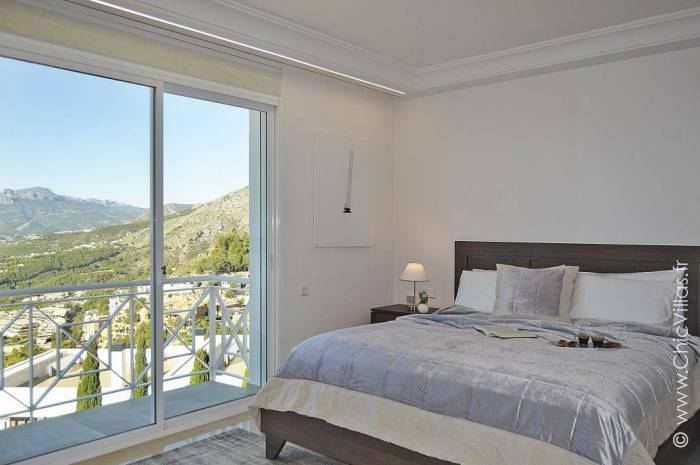 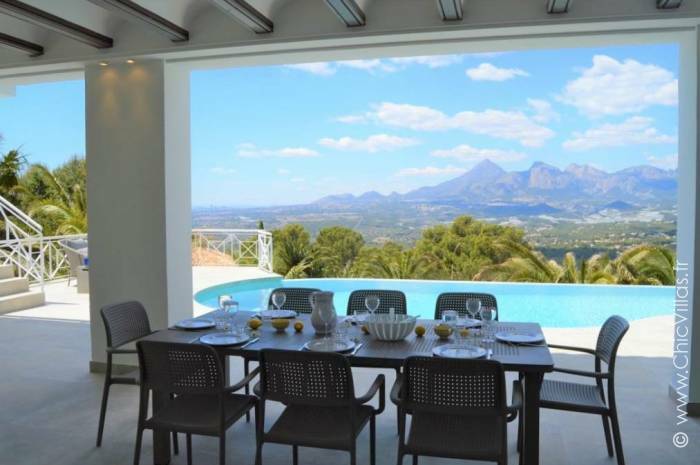 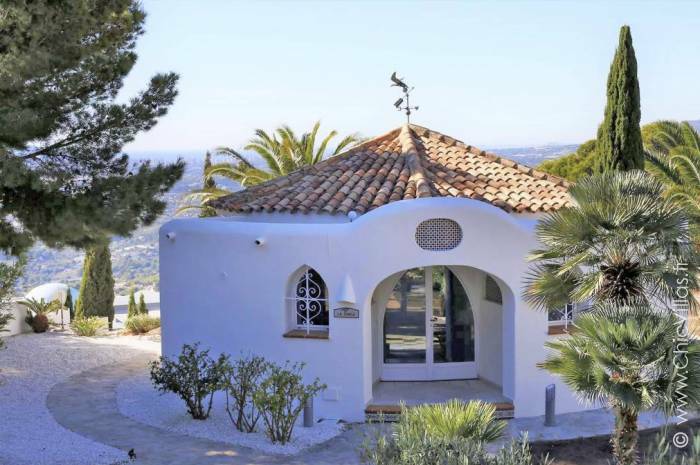 Renting a luxury villa on the Costa Blanca is the perfect opportunity to discover one of the most sought-after regions of Spain. 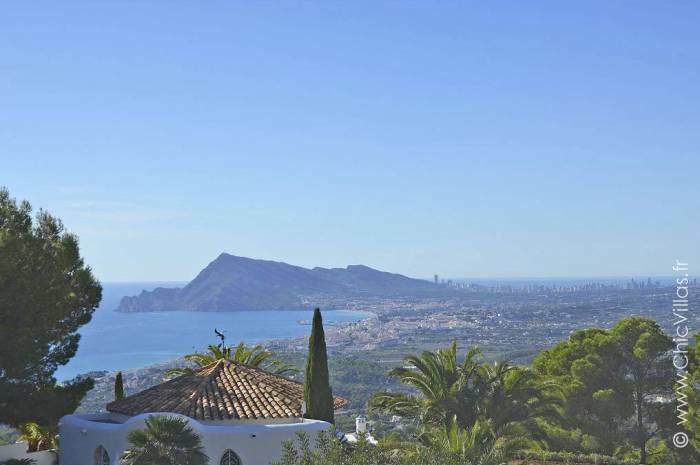 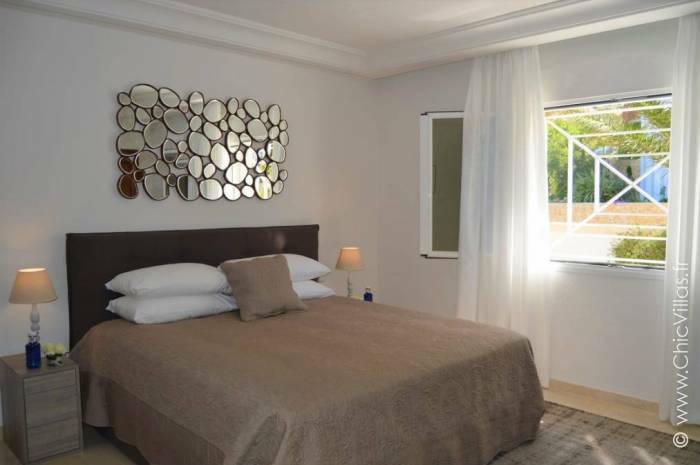 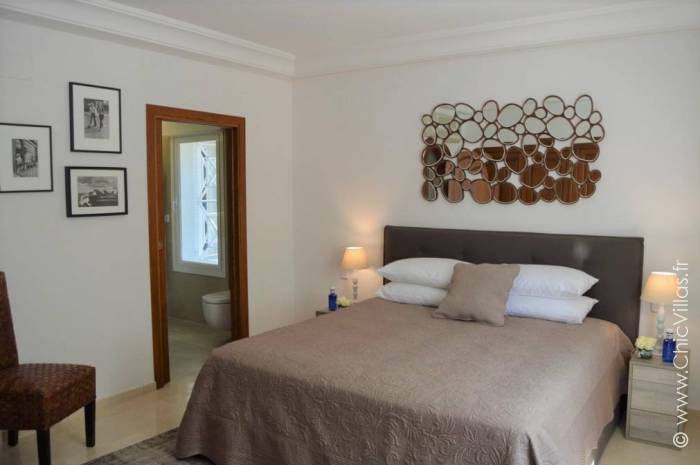 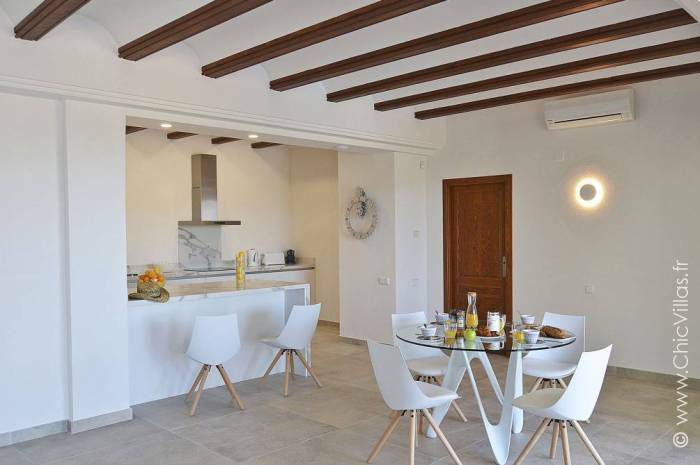 Panoramica Costa Blanca is ideally located just a few minutes from the centre of the beautiful fortified town of Altea, with its cobbled streets, whitewashed houses and fabulous seafront. 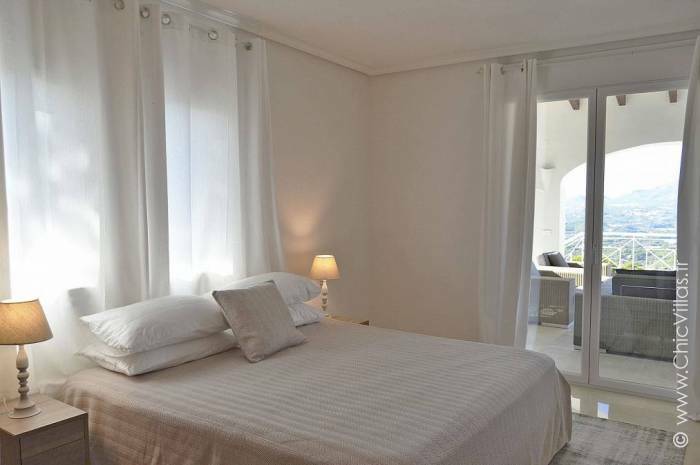 Benidorm is also within easy reach, and another must for your stay on the Costa Blanca. 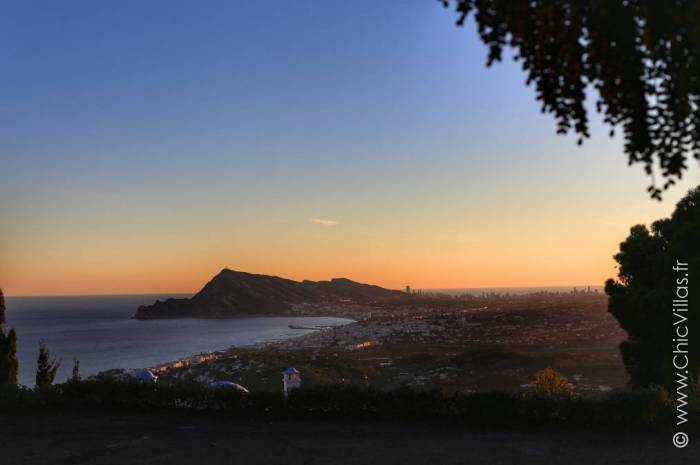 Well known for its festive holiday atmosphere, Benidorm is also great for families and has a number of theme parks. 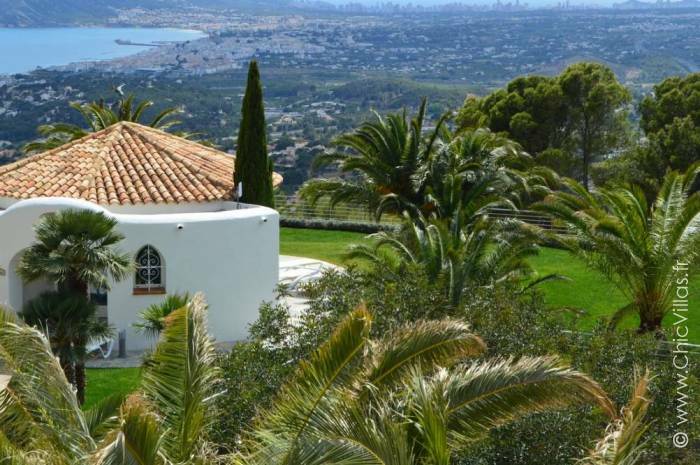 Other sites worth visiting there include San Jaime church, the castle watchtower, and, of course, the beaches. 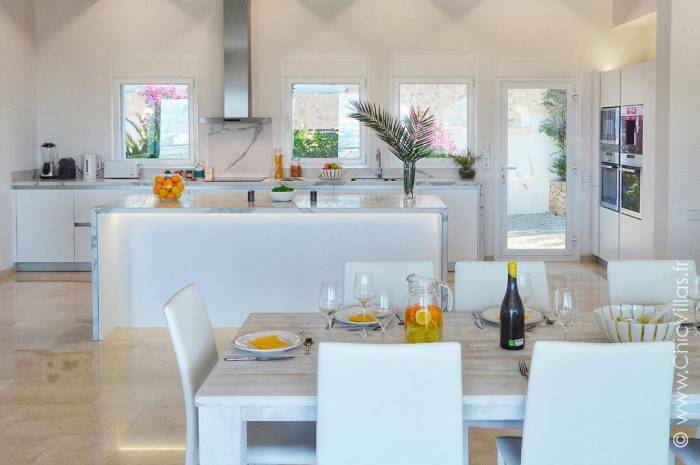 With 5-kilometres of sandy shoreline, it’s an invitation to indulge in a spot of sun-worshipping or adrenaline-charged water sports. 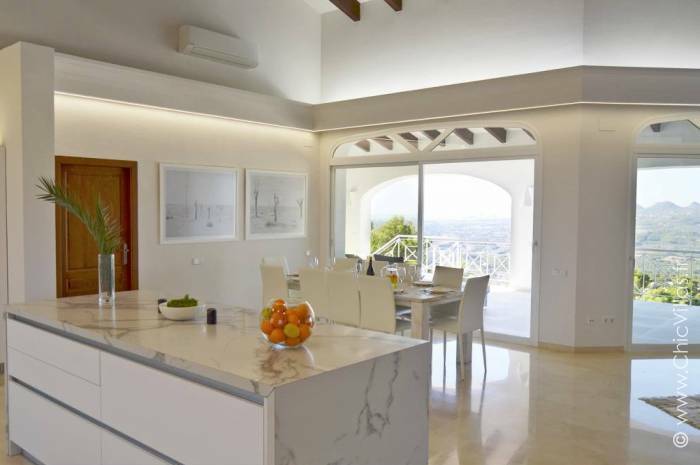 Another buzzing coastal town is Alicante, which is a 45-minute drive from your Spanish luxury villa. 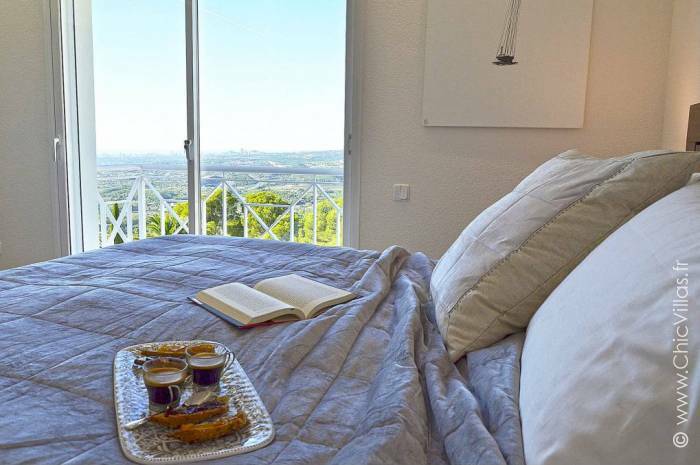 It has beautiful clear water creeks, a thriving cultural scene with museums such as the MACA contemporary art museum, and the pretty Santa Cruz district where you can experience the true Spanish lifestyle among the locals. 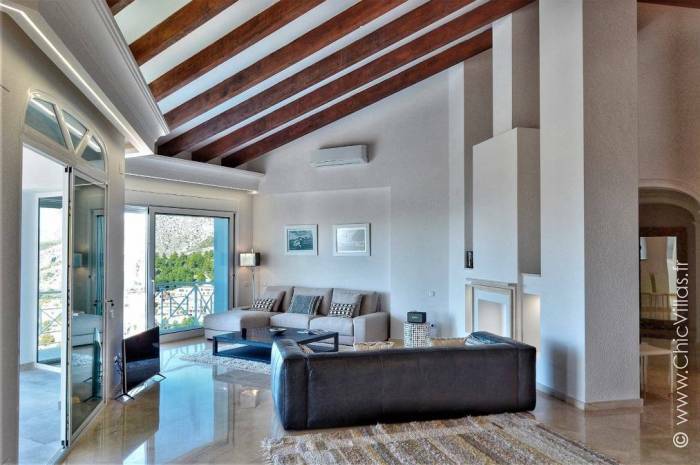 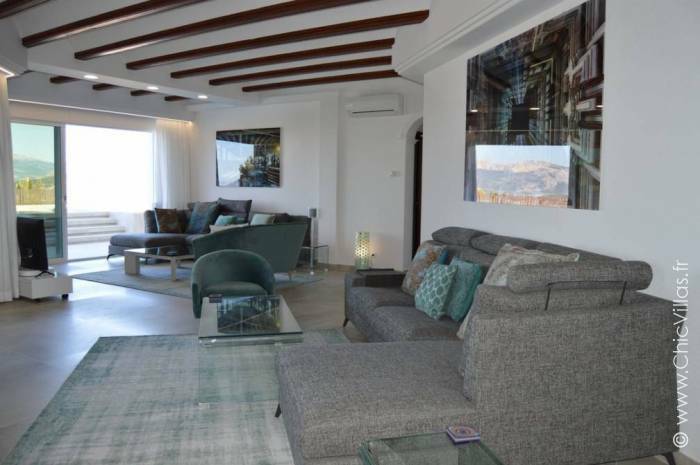 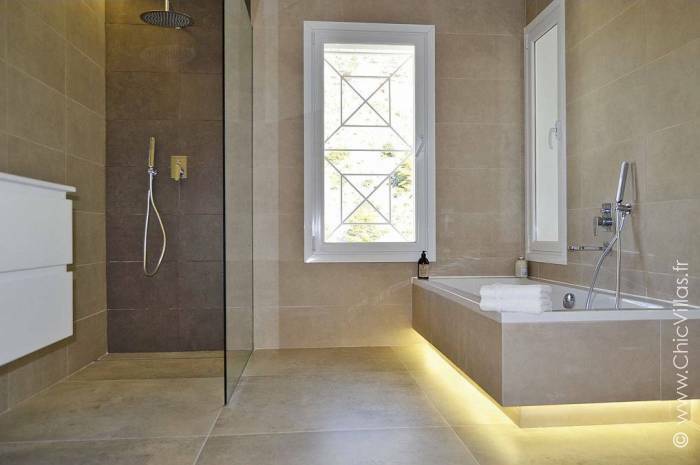 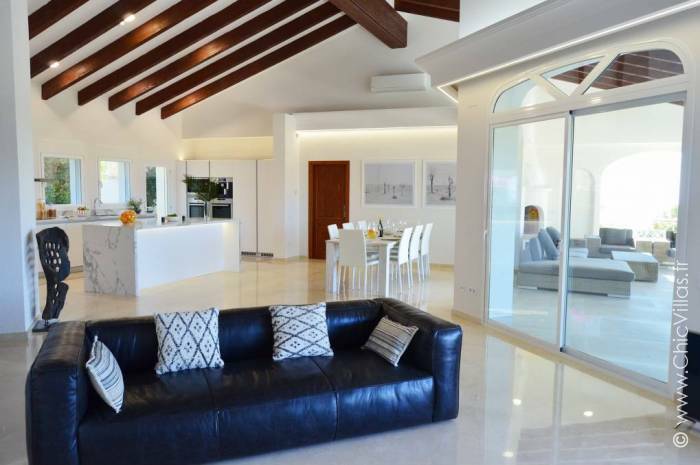 - A 90 m² living space comprising a living room, dining room and open-plan kitchen. 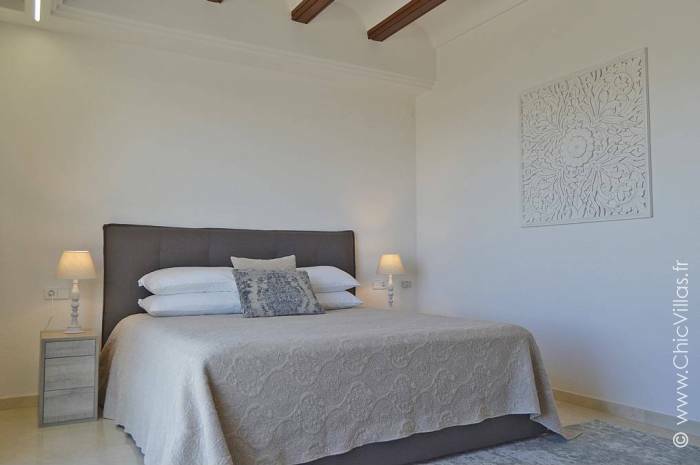 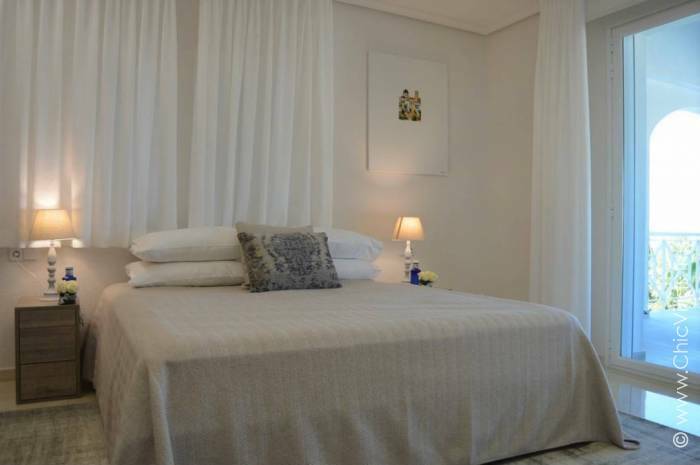 - Bedroom 8: a guest house set in a garden of exotic plants comprising a large circular bedroom with a king-size four-poster bed (1.8 m), a shower room and toilet and a kitchenette.